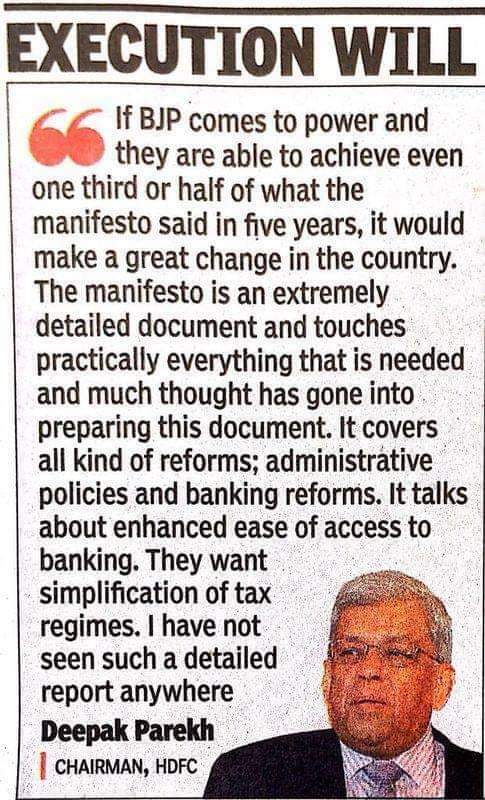 Deepak Parekh has expressed his happiness with manifesto released by BJP. Can we see BJP again coming to power as tilt of scale favours Narendra Modi and if he comes back as PM we may see market rising by another 5% post elections on 23 May. Lets get started to bring the best man as a PM and exercise our power to vote which will ensure that we are not ruled by bufoons. Consider checking best stocks for intraday trading tomorrow to get going in the market in a big way.